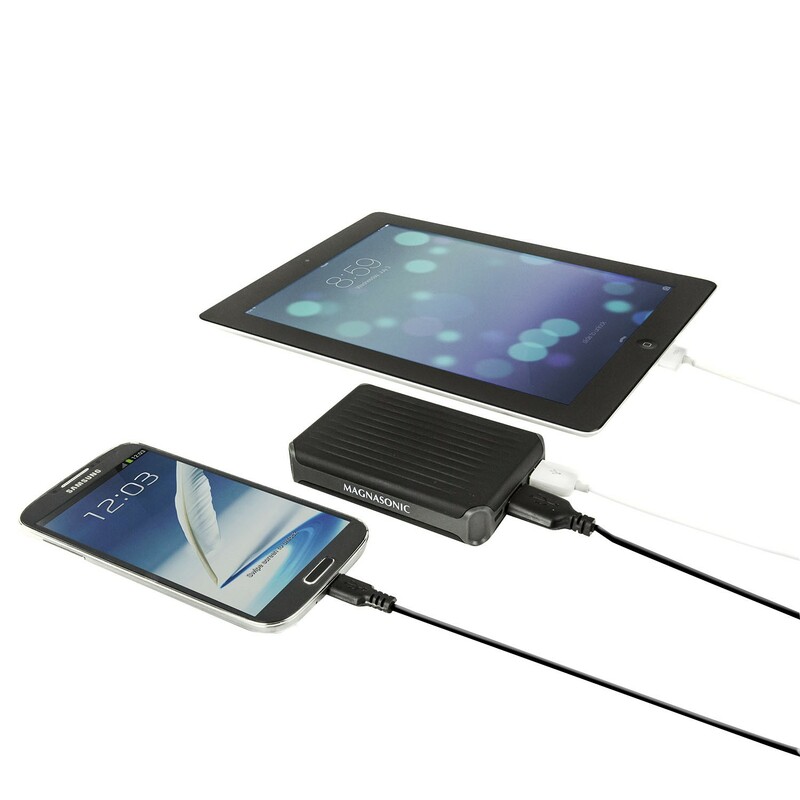 Have you ever been on a hike, bike ride or other outdoor adventure and realized that your smartphone is out of power? 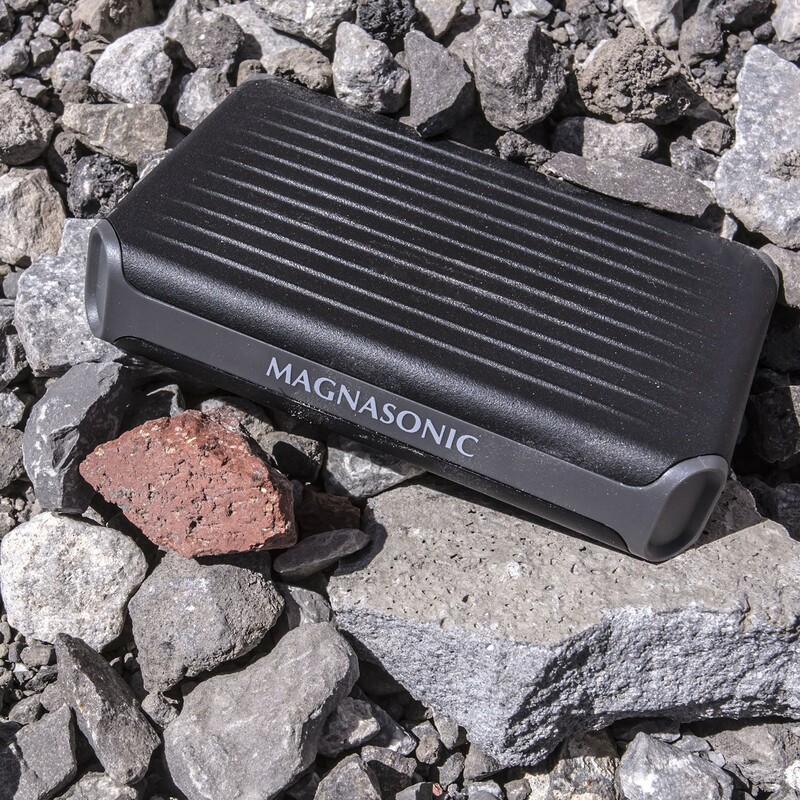 Now you can give your devices a boost at any time with the ultra-rugged Magnasonic Power Bank. Whether you need to recharge your camera so you can capture the sunset on the beach or need access to your smartphones’ GPS during a road trip, this is the perfect travel companion for you. You don’t have to settle for a power bank that is fragile or bulky. 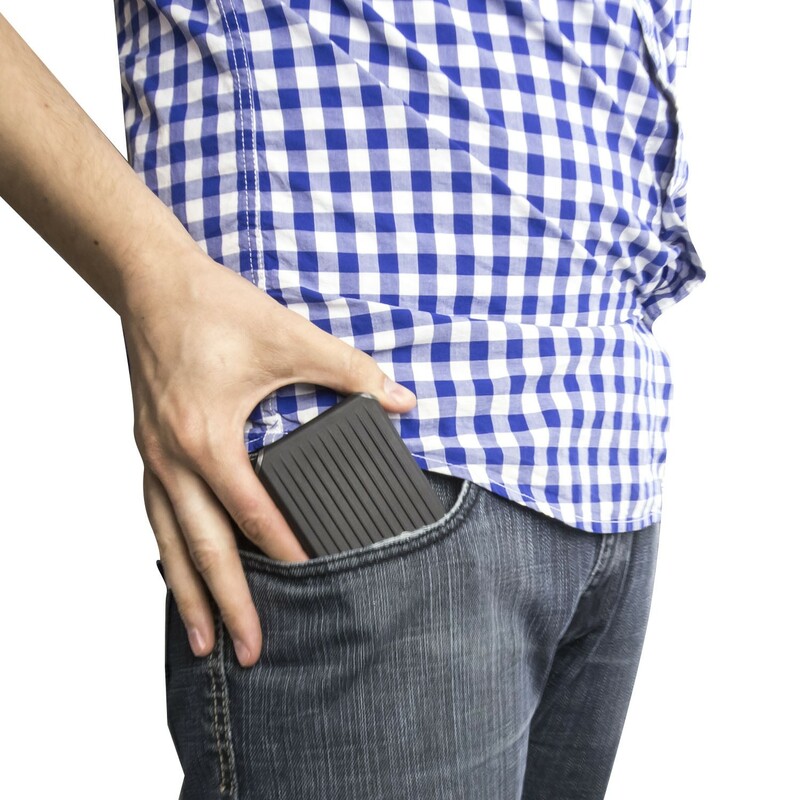 Armored with extremely impact-resistant material, this drop-tested design (2.6 x 3.9 x 0.8 inches) can be taken anywhere whether you are travelling around the globe or commuting to work each day. The large 7400mAh power capacity means that this power bank will charge your devices multiple times (iPhone 6 can be charged 3.4 times). That’s a lot of reliable charging to keep up with your daily demand. 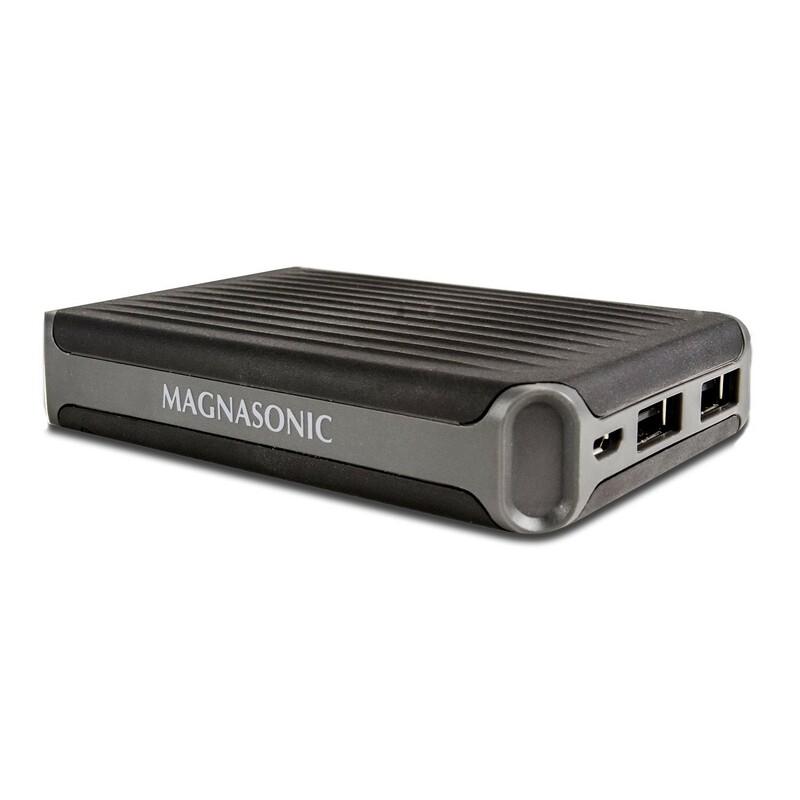 This high-tech battery pack boasts cutting-edge circuitry and the same superior lithium-ion polymer battery cells found in Apple devices. 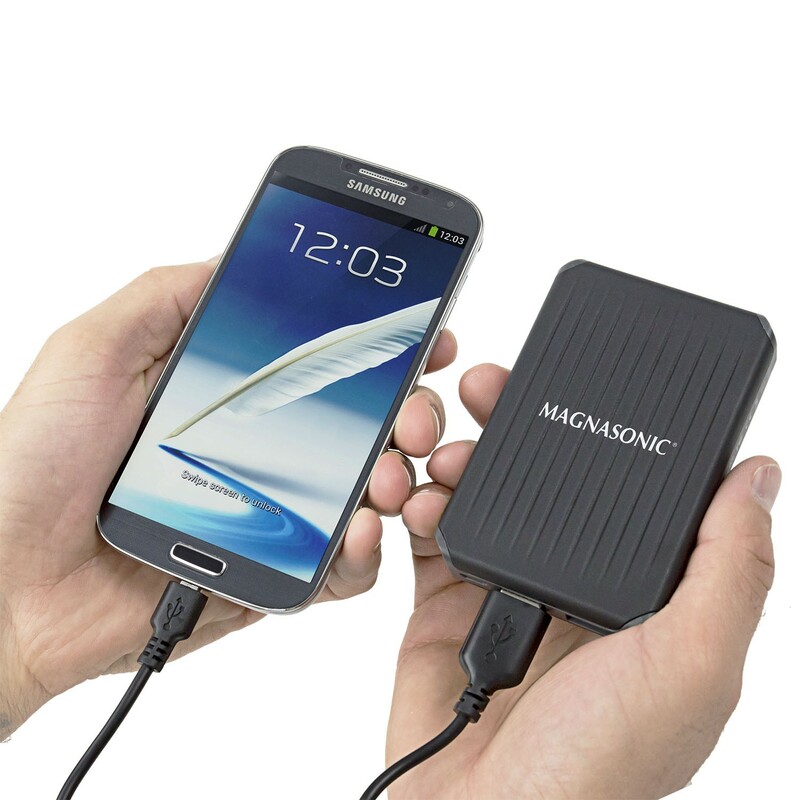 Your battery is being charged at the maximum efficiency saving you hours of time. 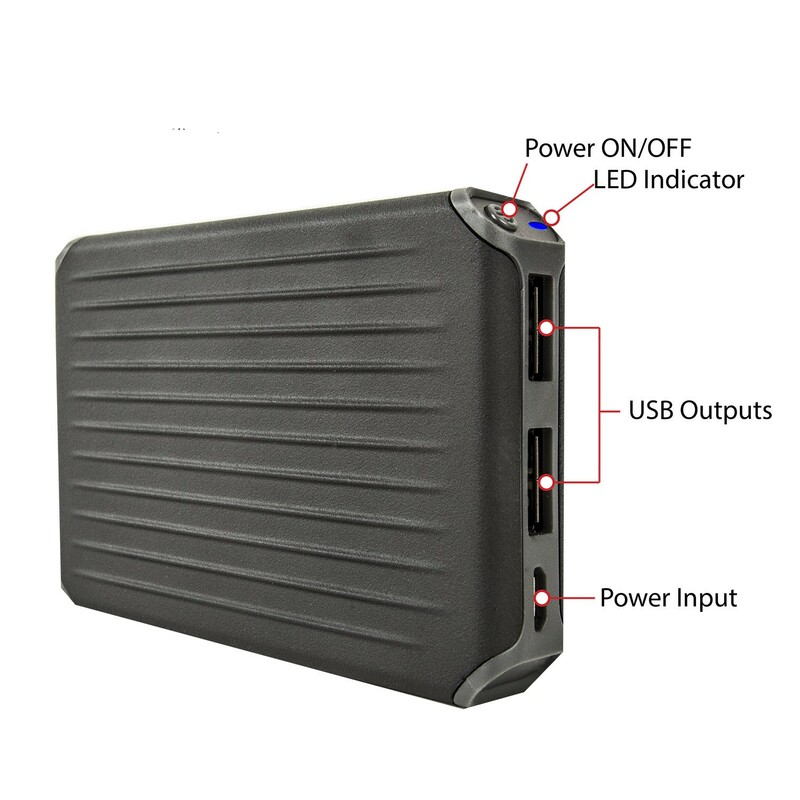 Have confidence in one of the safest, fastest, and most reliable battery packs on the market. Smart Power Indicator With its easy to see built-in LED power indicator, you will always know exactly how much mobile power to expect when you need it most. The LED indicator will also display the charging status so you know when it’s fully revived.